IdeasFundraising was formed to offer a unique reference point on great ideas to help you with fundraising. Whatever you need to raise funds for, IdeasFundraising will provide you with the information and ideas that you need. Fundraising can benefit many organisations and individuals, including charities, businesses, schools, individuals who need medical treatment or equipment and people who want to take a special trip. There are many ways to raise funds such as holding a one-off event, raising money online, staging a performance and selling goods like food and handmade items. Often the more unusual a fundraising idea is the more money it will raise. IdeasFundraising will help you get creative and come up with ways to make money, whether you want to raise money at work, get children involved in fundraising or hold a seasonal fundraising event. Our How to Guides provide step-by-step instructions for making individual fundraising ideas happen, for example organising a charity walk or creating a charity calendar. 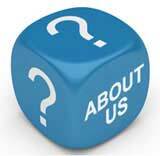 IdeasFundraising is written by people with a genuine interest in and experience of fundraising. We're always looking for new ideas too, so if there's something you'd like to see us covering, do write in, send us your story or ask our experts. IdeasFundraising was founded by John Rowlinson, the founder of PtS. John, through PtS, is involved in a number of ventures including software and property companies. A percentage of revenue from these activities goes towards funding IdeasFundraising and a number of similar sites.